The Absa Cape Epic is an annual mountain bike stage race held in the Western Cape. It has been accredited as hors categorie (a French term used in stage bicycle races to designate a climb that is beyond categorization) by the Union Cycliste Internationale. First staged in 2004, the race typically covers more than 700 kilometres, and lasts eight days. mountain bike race and the beautiful Paarl/Franschhoek Valley. For the truly adventurous, you also have an opportunity to join in a ride with the exclusive Epic Trippers group in Stellenbosch on Saturday, 23 March to get a taste of the action (optional). 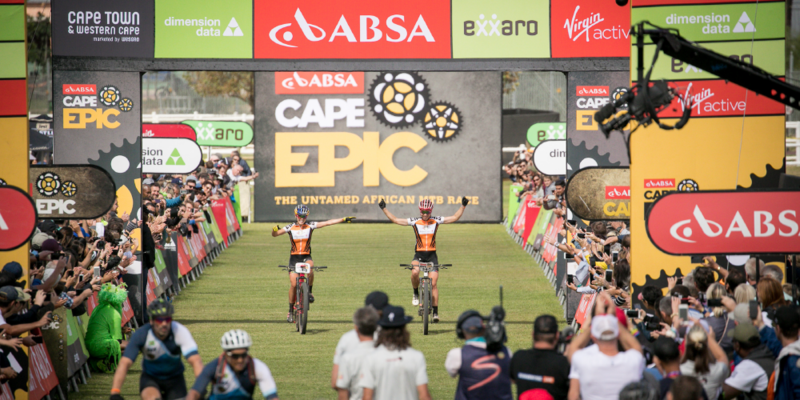 This experience package is valid for the 2019 or 2020 Absa Cape Epic event. 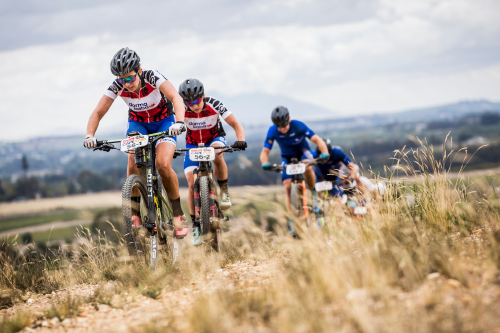 If the 2019 event is chosen, your attendance for the 23 & 24 March must be confirmed via email to hospitality@cape-epic.com by the 8 March as special arrangements need to be made. Exclusive access to the Epic Trippers programme for one day (optional). A 20 min Epic flight for two people departing from Val de Vie. Two VIP access passes to the Epic Lounge. Extensive local menu: continental breakfast, light lunch and snacks. Complimentary bar with dedicated hostesses and professional waiter service. Backstage access for two people at the final awards ceremony. 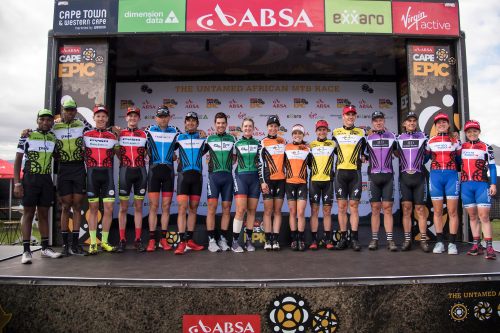 Meet and greet with the overall winning teams of the 2019 Absa Cape Epic.